Obituary for Martin Charles Weisler. Sr. | Penzien Funeral Homes, Inc.
Martin Charles Weisler, Sr., 81, died Monday, November 12, 2018, at him home in East Jordan surrounded by his family. He was born on March 4, 1937, in Kearney Township, Antrim County, the son of Charles Martin and Henrietta (Russell) Weisler. He married Beverly A. Hibbler in East Jordan on December 14, 1957. He worked forthy-five years for the East Jordan Iron Works, now know as EJ, USA, Inc. He retired in July of 2000, as a downtime production clerk at the foundry. Martin attended the United Methodist Church in Norwood and East Jordan. He was also a member of the Barnard Grange. He was an avid outdoorsman. 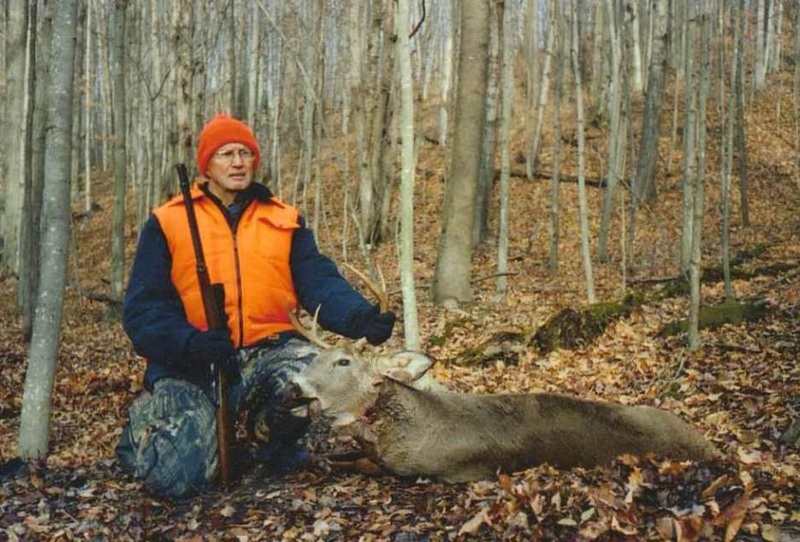 He enjoyed cutting wood, deer hunting, bird watching and avid observer of nature in general. Martin is survived by his wife, Beverly A. Weisler of East Jordan; two sons, Martin C. Weisler, Jr. and his wife, Debra, of Boyne City and Randal Weisler of East Jordan; four grandchildren, Jennifer, Shawn, Justin and Austin; two great grandchildren, Avery and Brayden Littleman; one brother, Raymond Weisler and his wife, Marion, of Ellsworth; and two sisters, Rosalie Elliott of Weidman and Shirley Magsig of Gaylord. A memorial service will be announced at a later date. The family was served by the Penzien Funeral Homes, Inc. in East Jordan. Memorials may be directed to the donor’s choice.